We all love our rooms. Each room in our home is done according to the person who occupies it. A look at the room of a person can say a log about the person. It is very important that your room is done according to your choice and preferences. Every man wants his room to be done according to him and it shall have a masculine touch. There are a number of ways in which you can add a masculine touch to the room. 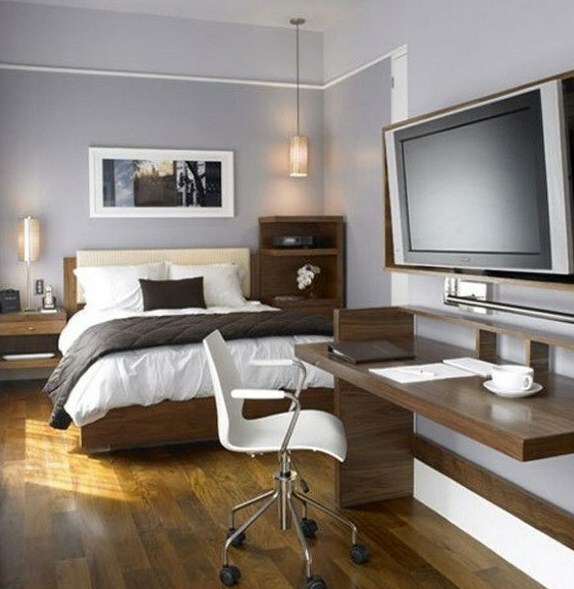 Men usually want their room to be a simple one without too many things being gathered in the room. There shall be minimum accessories and things in the room. There shall be ample of space and a very simple and elegant look for the room of a man. The textures which are chosen for the room of a man shall be plain and simple. This shall go perfectly with the look and ambiance of the room. If you want patterned textures for your room then keep it with the least or simplest patterns. You can choose nice gradients and simple textured looks. These look sober and nice and fit in well with the interiors of the room. The colours used in the room shall be dark and strong colours. They shall not be striking colours but dark colours which give a very smart or strong look. For the room of a man you shall opt for deep colours which look great in your room. The deep and dark colours will also change the entire look of the room and you will realize the importance of colours for changing the look of the room. The lights need to be given special attention for the masculine touch in the room. You shall make sure that the lights used are dim and not too bright. The lights shall be well fitted and they shall illuminate the room very dimly. 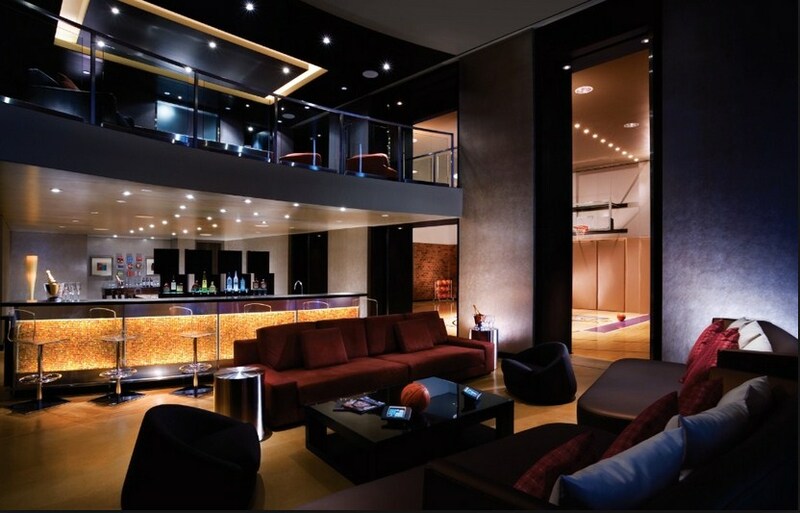 You can use some interesting looking lights for a great look to the room. This compliments the look of a masculine touch to the room. Space is a very important factor in a man’s room. It is very important that the room of a man has enough space. You shall keep the area empty and just have minimum and basic accessories needed in the room. 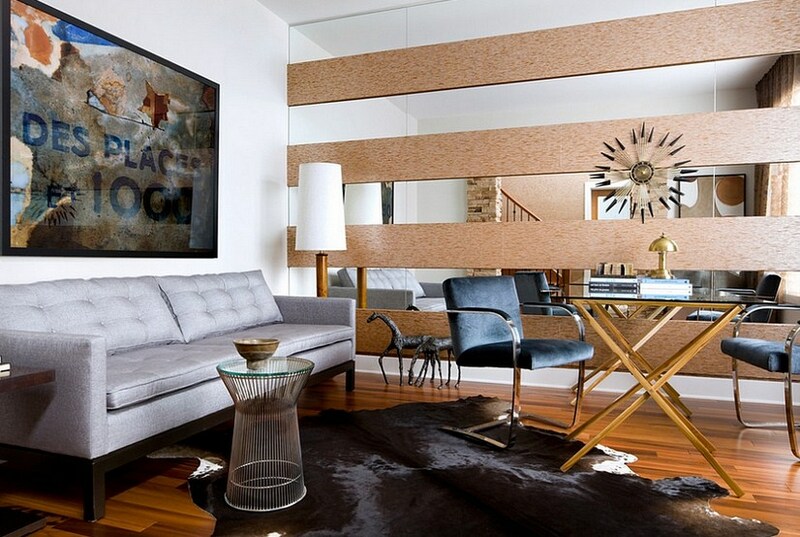 For a masculine touch to your room space is one of the primary factors. So, you shall make sure that there is adequate space in the room and things have just not been stuffed in. A fire place in the room is a great idea to add a masculine touch to your room. It can be a place where you can warm yourself and relax in the room. It is a great way to enhance the look of your room too. These days there are a number of interesting and eye catching ideas for a fire place. You can choose the best for your room. A headboard at the bed is important for a masculine touch. These days there are a number of headboards available in the market. You can choose some amazing headboard pieces. It also makes it easier for you to rest your head above the bed. The headboard also adds a rich and classy look. A study where men can sit and work is a great idea to add a masculine touch to the room and make it look grand too. You shall make sure that there is a lot of area in the room after a small study has been placed in the room. You simply need to add a simple table and a chair which has things kept neatly on them. A walk in closet which is well kept and has things which have been displayed neatly is a great idea. You can get it designed and done the way you feel is easier and according to the space available in your room. The closet shall be kept well organized and in a very neat manner. A nice rustic wood wall will give the room rich and a masculine look. It gives the room look a little vintage too. The rustic wood walls are simple nice and attractive. You can place the woods in various styles and dimensions to make them look more attractive.